A while back, the DSP anthology, Make a Play, came out with lots of lovely sports stories. 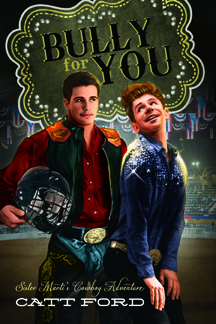 I even wrote one: Bully for You, which got some decent reviews. It's funny and it's about bull riding. I just love it to death and I want people to see it. Because it's brilliant.